Rick Bayless is a favorite TV chef in the Simpson house. If we can ever get back to Chicago, a visit to Frontera will be on the agenda. 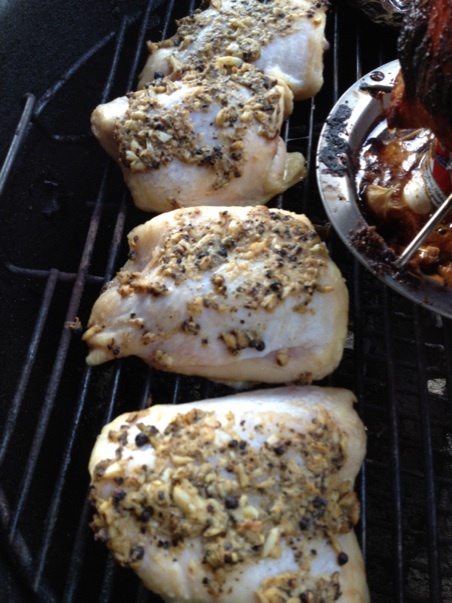 In lieu of a road trip, why not try out a BBQ recipe inspired by Chef Bayless? 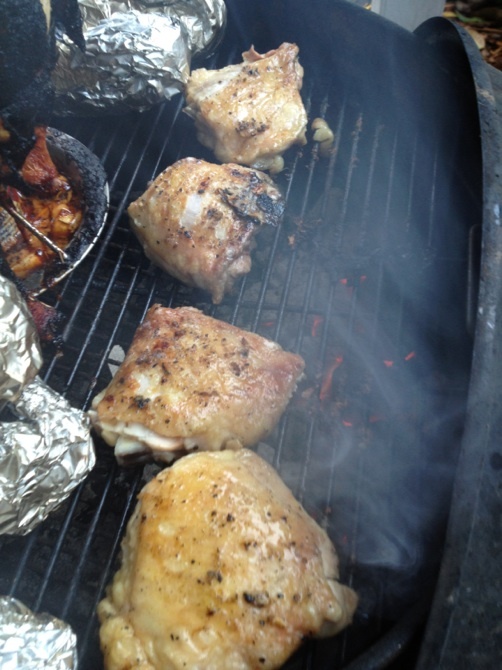 Besides, having just entered as a competitor in the Backyard BBQ Bash, I need to practice grilling chicken. 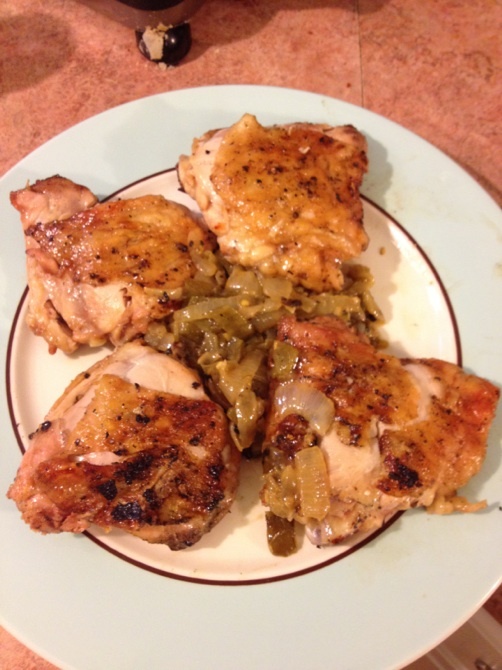 Chicken thighs are a resilient, succulent piece of chicken. That in mind, Chef Bayless has a grilled chicken recipe on his website. 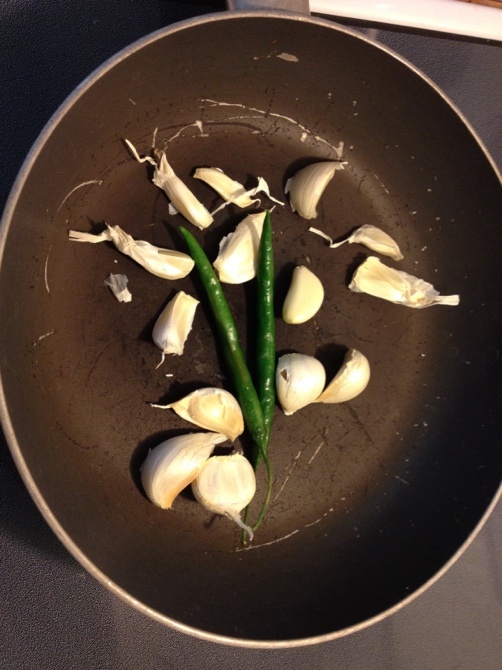 I started with a couple green chilies from my garden, a bulb’s worth of unpeeled garlic cloves, and some whole peppercorns all in a non-stick pan over medium-high heat. Once toasted, I peeled and smooshed up the garlic, along with the peppercorns and chilies to make a lumpy paste for the chicken thighs. In the meantime, following Chef Bayless’ recipe for the escabeche sauce, I toasted three large Anaheim peppers , peeled them, and then cooked them in a non-stick skilled with half a chopped white onion, chicken broth, apple cider vinegar, cilantro, salt and pepper. The only omission from his recipe was the pickled red onions, since I wanted more of a salsa verde flavor with the acidity of the vinegar without the heavy saltiness of the pickled onions. 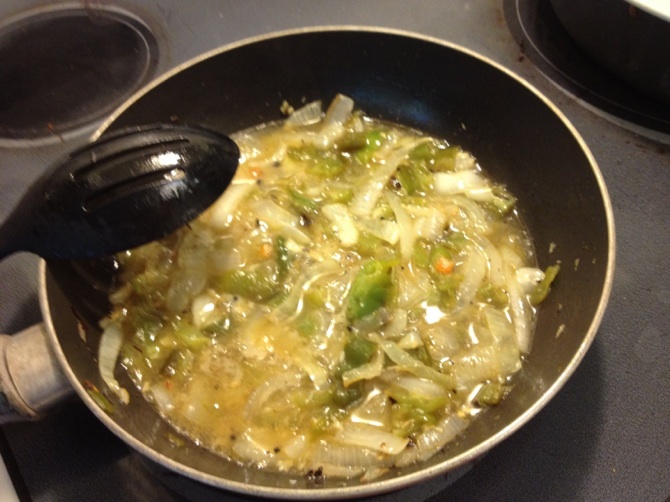 It simmered for a while, and I would thin it out lightly with some broth and vinegar as it thickened. According to the super-accurate Wikipedia website, Mexican-style Escabeche is an acidic and peppery presentation of meat. It sounds like it can be a loosely-defined term that covers many types of sauces, particularly with respect to the regional influence. 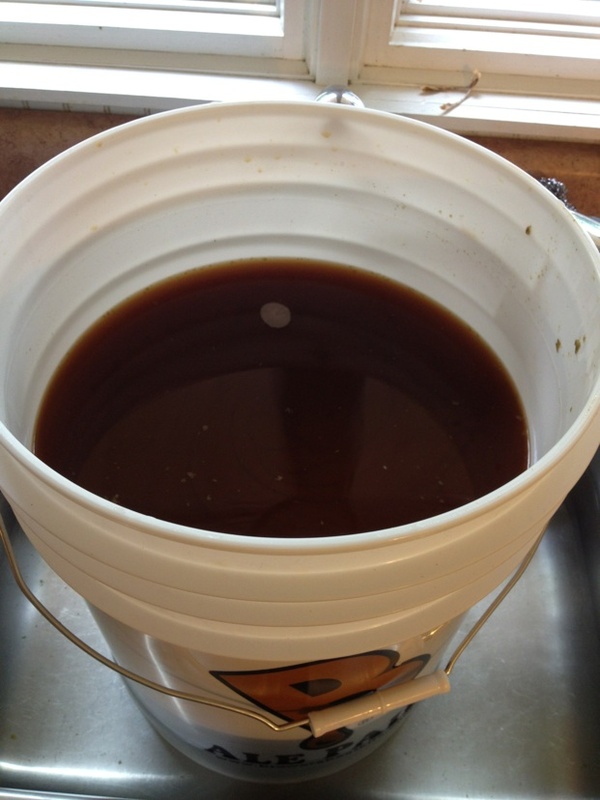 In parallel to this entire adventure, I decided to crack open my home brew kit and make some brown ale. After cooking it all down, I had to wait for the wort to chill enough for the yeast. 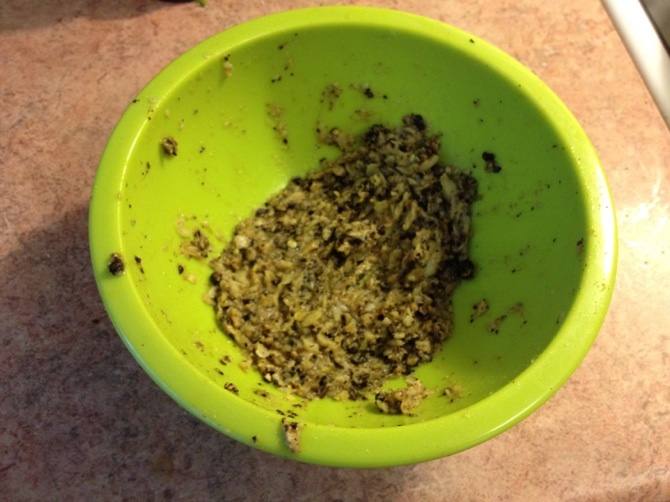 Combined with the garlic, peppers, onions, etc., the brewing beer aromas made for a very delightful scent throughout the house. I put about two thirds of the paste onto the chicken thighs, with the other third going into the escabeche sauce. Each went on the grill over semi-direct heat, skin and paste side up. Twenty minutes later or so, I flipped the chicken to skin side down. Plating is simple. The sauce is thick and glorious. The pepper and onion sauce was wonderful. The tartness and acidity of the vinegar cut the spice from the peppers and peppercorns, while the texture of the onions and peppers was reminiscent of a chunky yet smooth verde salsa. This sauce alone would work on tacos, fajitas, enchiladas, etc. You might think that chicken with a garlic paste on it would be overwhelming, but it provided a mellow, savory flavor. (I don’t eat chicken skin anyway.) It was moist and delicious, and even my kids ate it. 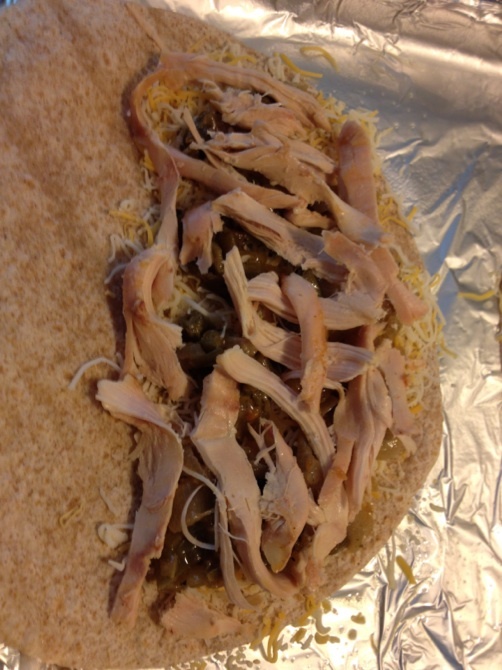 Epilogue: The next day we made quesadillas with the pepper sauce and pulled chicken, along with Mexican cheese blend, a sprinkle of Parmesan, and a wheat tortilla. After 15 minutes in the oven… Exquisite.